The ruling party, Zanu PF, has quashed the European Union Election Observer Mission Final Report on the 30 July 2018 polls, which revealed that the harmonised elections fell short of the expected international standards on elections. According to EU report the playing field was not level, there was smart intimidation, abuse of state resources as well as condemning the electoral mother body; Zimbabwe Electoral Commission (ZEC) for lacking full autonomous among other issues. 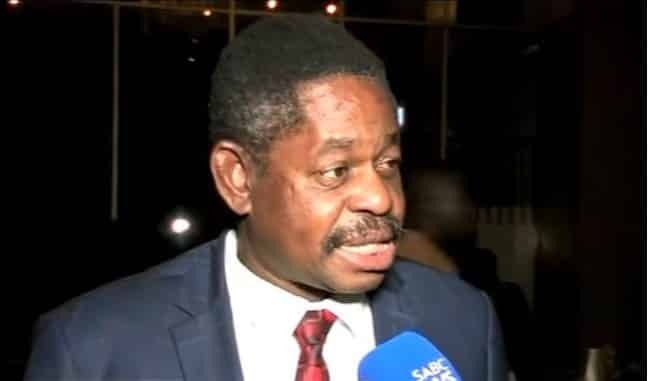 Speaking to 263Chat in an exclusive interview, Zanu PF Secretary for Legal Affairs Munyaradzi Paul Mangwana, fumed at the EU poll report describing it as “nonsense and opposition MDC inclined”. “That is nonsense! Zanu PF did not abuse any state resource. They just have to compare the African Union and SADC reports, so that they compare and find answers. Probably the outcome of the elections did not please them since they supported the opposition. “We are not surprised by their opinion we know them. Do not forget that Zanu PF fought a war of liberation against the European colonialism so in each every corner they find a reason to condemn us,” he said. The Government of Zimbabwe under the new President Emmerson Mnangagwa invited the EU to deploy Observers to observe the elections. In total the EU deployed 140 observers that comprised of long and short term observers. However, MDC spokesperson Jacob Mafume said the EU poll report is a reflection of what their President Nelson Chamisa has maintained before and after the elections. Mafume said the reason the Court refused to subpoena ZEC was to put a shield against justice of the will of the people which could have exposed the commission’s shortfalls in its server. “ZEC was only useful in robbing Chamisa’s electoral victory and gave it to Mnangagwa. The election was neither free nor fair or credible. ZEC conducted the elections with a result in mind. The inconsistencies and all the mistakes identified in EU’s report are also the same issues that we raised before and after elections,” he said. ZEC could not be reached for comment. The EU report highlighted a litany of shortfalls at large implicating the electoral commission that it failed to administer traceable, verifiable and transparent election leaving President Mnangagwa’s legitimacy further hanging by a thread.